Direct from Cambridge, Ohio, The No 1 Johnny Cash Show across the USA “The Man In Black” returns to Ireland for a Nationwide tour, after sensational reaction and a completely sold out tour last February. Featuring Terry Lee Goffee and his band, this is one show you won’t want to miss. He sings like Johnny and he looks like Johnny and he performs just like the great man, with energy, charisma and vitality! 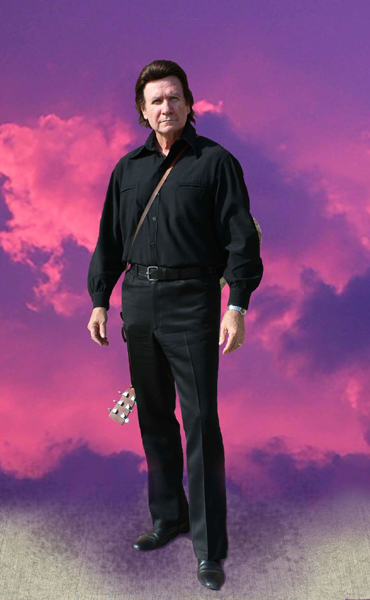 Performing in Theatres all over the USA to great acclaim, Johnny’s siblings, Tommy Cash and Joanne Cash Yeats, have joined him on stage to sing Johnny’s songs during his tours.